Numerous kinds of fibres, animal, vegetable, and mineral, are used in weaving. The best known, and probably the most useful, is wool. 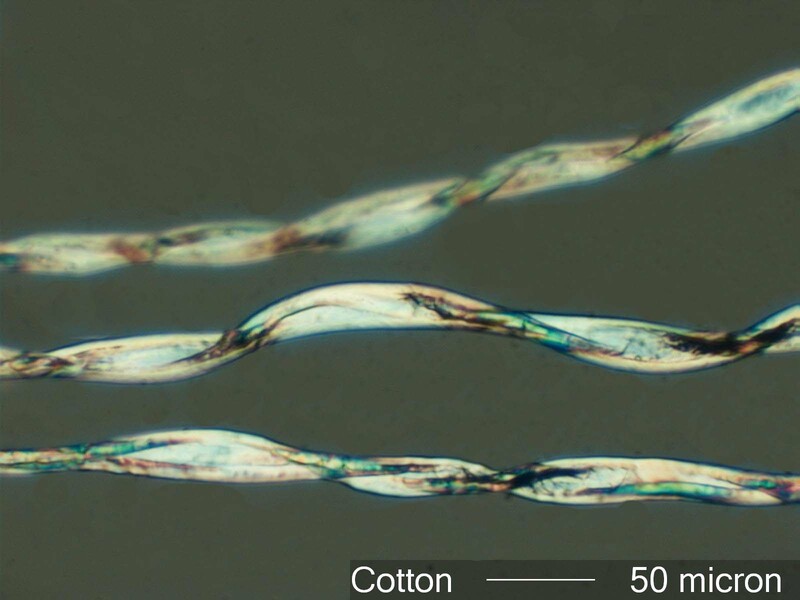 In section, magnified, a wool fibre is seen to be constructed of elongated cells, with an outside covering of horny, scale-like cells. These outside scales have microscopic bracts or imbrications. Hair and vegetable fibres do not possess imbrications. Under the varying conditions of spinning these imbrications become interlocked – this is one of the great advantages wool possesses over other spinning fibres. Fierce dry heat, strong alkalis and other abuses may destroy the bracts. A classification of scales on hair. Wool typically has crenated imbricate scales. 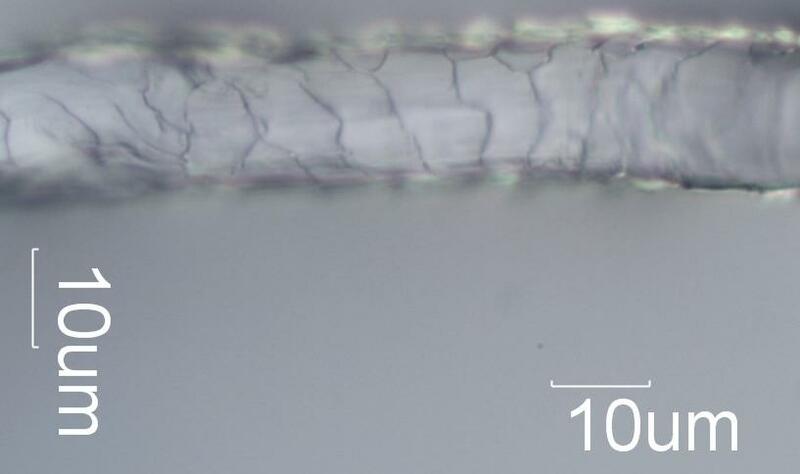 A close-up of a single wool fibre, clearly displaying the crenated imbricate scales. Cotton does not have any scales. As an aside, all these images come from the microlabgallery, which is full of fascinating microscopic images, sharing of these images is encouraged!